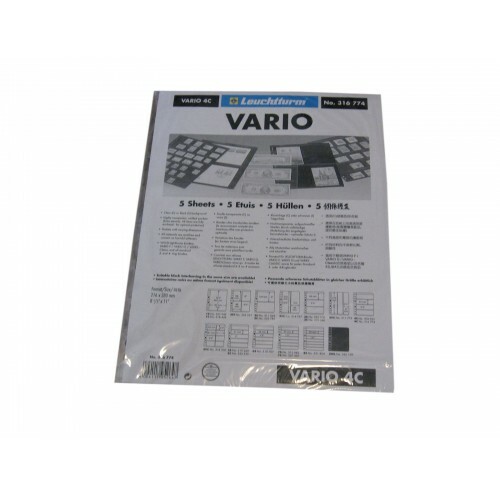 Pack of 5 Lighthouse Vario 4 Pocket Clear Stamp Stock Album Pages. Lighthouse Clear Vario pages are made of archival polyester with no chemical softeners or acids. This material is similar to what's used in comic book mylar bags. It is very strong and archival safe for long term storage. Lighthouse clear vario pages have pockets on one side of the page but are clear on both sides so that you can view both sides of your collectible items. Great for small fractional currency / banknotes, ticket stubs, large stamps, and similarly sized paper items. Important Note : These DO NOT work with modern US currency. The pockets are just a bit too short and the bill sticks out the top. Use Vario 3 Pocket pages (sold separately) instead for modern US currency. 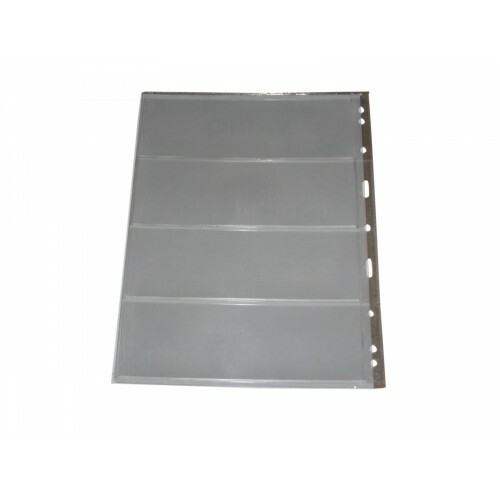 Do you have any questions about 5 Lighthouse Vario 4 Pocket Clear Stamp Stock Album Pages binder sheets?